Daneliya Tuleshova is a girl from Kazakhstan who, despite her youthful years, has an outstanding singing talent. She proved this in the last season of The Voice Kids show in Ukraine, and she also represented Kazakhstan on the Junior Eurovision Song Contest 2018 with the song "Ózińe sen", when she finished the contest in an excellent sixth place. 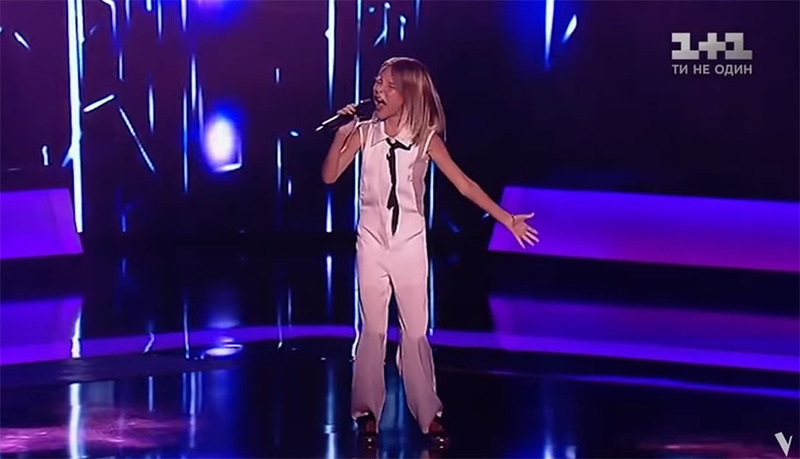 In the aforementioned The Voice Kids Ukraine show, 10-year-old Daneliya Tuleshova stole all the attention already on audition when she presented her talent with the song "Stone Cold" by world famous singer Demi Lovato. With her talent she made progress in the show, and in the first battle she presented herself with the song "Of The Night" of the music band Bastille. She also showed her talent while performing the song "Rise Up" by singer Andre Day, and she impressed many with two more songs in the final. First she sang the song "Spectrum", performed by the music group Florence & The Machine, and finally presented her voice with the emotional song "Ne tvoya viyna" by the famous Ukrainian music band Okean Elzy. At that last performance she bring some of the coaches to tears, and with her singing talent again proven to be the best. In The Voice Kids show in Ukraine, she has become a winner, and now a video has been added to the web, where you can listen to all the performances that 10-year-old Daneliya Tuleshova performed there. Huge respect for her talent and enjoy listening to her remarkable singing talent!